Billionaire Owner... The recent dream of more Premiership Clubs' Supporters. We at ECSM are no different. 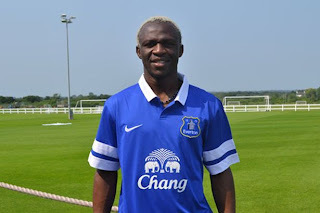 But I must caution Evertonian not to fall glee to the purported wonderful world of Billionaire ownership. Many of these buyers are not sincere purchasers. Some buy Clubs to allegedly launder money. Some buy just to merely to raise their profile. I mean do you know who was Abramovich before he bought Chelsea? Some of these rich shoppers do not have the Club at heart. An example, Liverpool. The owners are squabbling, and only the club/fans suffer. Of course, I dont really care whether the red half of merseyside do well, but the point here is that rich owners does not mean bed of roses. 1. West Ham - after that buying spree in 2007, West Ham is now in big trouble. They could be next Leeds United. 2. Newcastle - They bought Owen, Duff, Parker (before selling him to W.Ham), Emre who has moved too, Martins etc etc, and they are STILL not doing well. They have a Billionaire owner who does not know what to do with the club. The list goes on... Of course there are fair examples like Aston Villa and Portsmouth where the new owners have done well to support their managers. We also now wait to see Man City. How far will they go with the new owner? I am merely saying here that we should not just push and advocate for a new Billionaire owner just for the sake of having a rich owner. I do hope we get more investment, as Moyes need to buy more players.